This EFCC church was spotted somewhere in Benin city Edo state. Description : This EFCC church was spotted somewhere in Benin city Edo state. 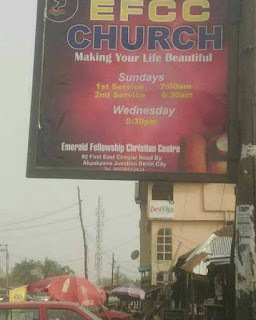 0 Response to "(Photos)EFCC Church Spotted Somewhere In Benin City"